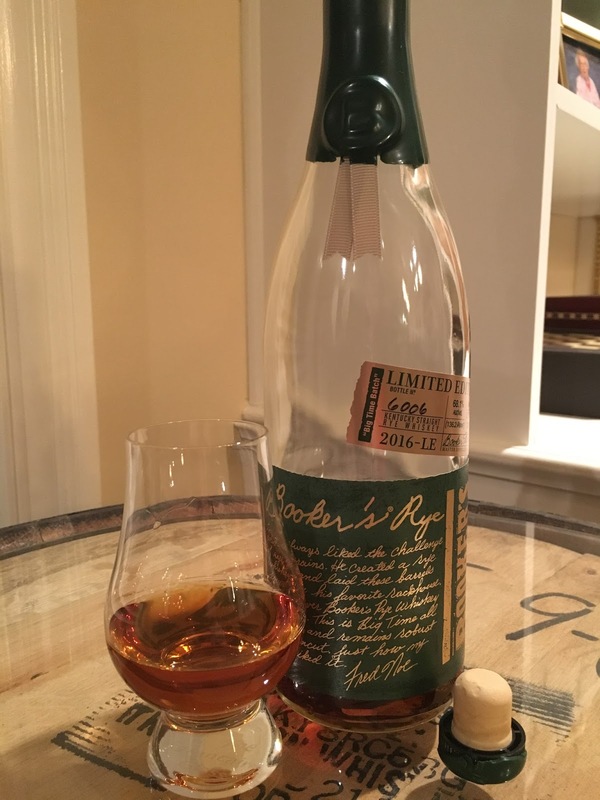 For this review, I wanted to take a large cross-section of Rye Whiskey from usually-available to scarce (but attainable), and from young to old. Every one of my selections was bought at retail prices without going to the secondary market or waiting in line for a chanceto purchase. Even without lotteries and lines, I was able to get a Booker’s Rye and a Willett 25, so keep that in mind the next time you’re tempted to camp outside of a store. It might have been nice to include the strictly-allocated brands that flippers clamor to get, but then this comparison wouldn’t be realistic for the vast majority of consumers. I decided to go with all American Straight Rye Whiskies so that I was comparing apples to apples, and so that I could be assured that there were no coloring or flavoring additives. I also avoided anything finished in other barrels; this is pure Straight Rye Whiskey. To further narrow the field, I went with Kentucky Straight Rye (sorry MGP), even if it is not labeled as Kentucky (like Pikesville). This knocked out most merchant bottlers, including – admittedly – some that might have challenged for high rankings. This undertaking was big enough that I knew I needed help, so I assembled a panel of friends with trusted palates for a blind comparison. I arranged the samples by proof, but did not tell the group anything about the order. They only knew that they were trying Straight Rye Whiskey. My own initial tasting and scoring was also blind, but I re-tasted non-blind after compiling and averaging all of the rankings. In this comparison of ten Kentucky Straight Rye whiskies from across the age spectrum, from two years old to aged as long as you’ll ever see, and from affordable to market-leading expensive, I wondered whether the two heavyweights could withstand the challenge. They mostly did, but what I really learned was that after the top three and bottom two were established pretty conclusively (but my no means unanimously), personal preference was the key. Between those bookends, the panelists had some dramatically-different reactions to the same whiskey, although it’s also true that the averages were fairly delineated from top to bottom. 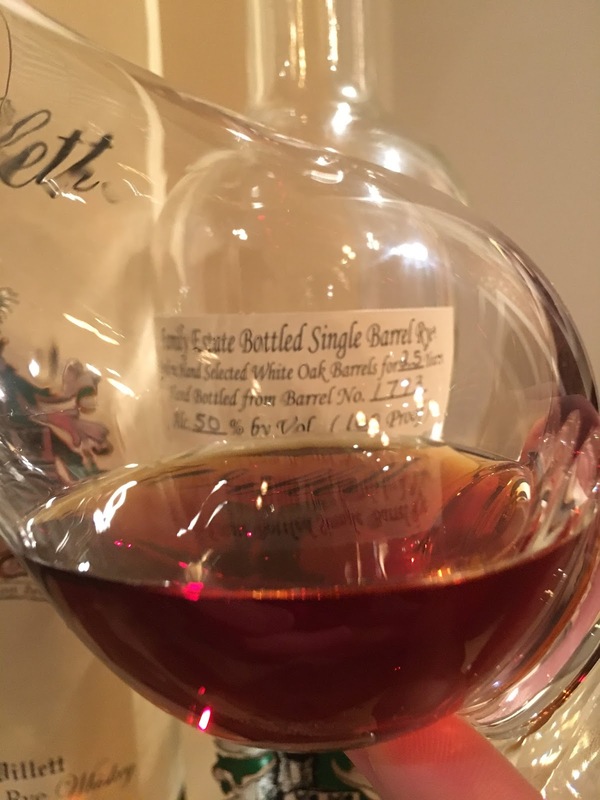 Boom – this Willett was ranked 1stby five out of the seven panelists. Believe the hype about these extra-aged Ryes that have been trickling out from Willett. The color – a dark mahogany – ranks as dark as I’ve experienced. Intense aromas of brown sugar, dark fruits, tobacco, and heavy oak previewed a thick, syrupy mouthfeel with rich, layered flavors. Those who don’t like oak might want to move on (although it’s not as oaky some other extra-aged whiskies), but it also nails dark fruit (plums, cherries), dark chocolate, pralines, brown sugar, and rich caramel for a true desert quality. The finish has a remarkably long swell. Enjoy a whiskey like this neat, over a long, relaxing time. Even though the oddsmakers had Pikesville coming in third, this is a majorupset for it to come in second, barely nudging out Booker’s Rye by only 0.14 points. It’s basically a tie (and using the median would have reversed the order), but I had to go with the mathematical winner. 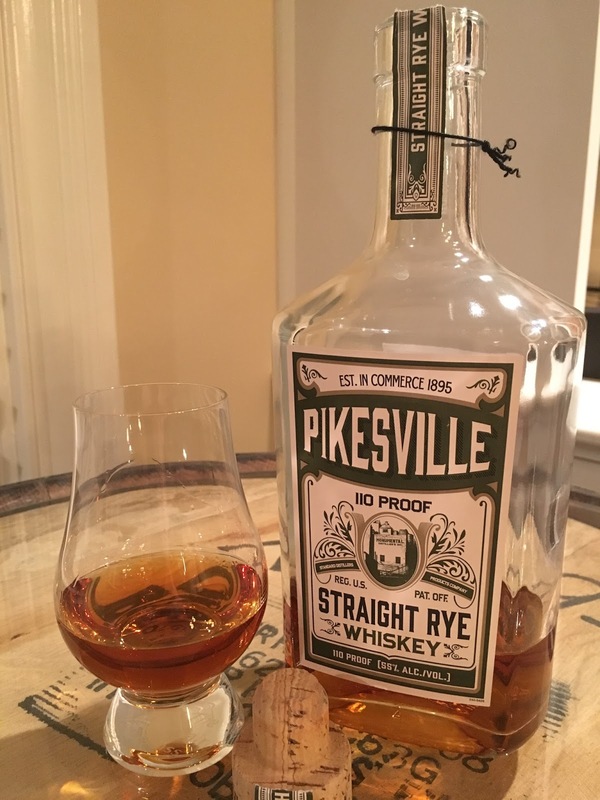 Pikesville barely qualifies as Rye Whiskey with 51% rye grain and 39% corn, which in many ways makes it similar to a high-rye Bourbon. In part because of the corn percentage, it’s sweeter than I often think of for Ryes, but it’s extremely well balanced with rye spice, black pepper, and mint, so it’s not just a “sweet Rye.” It’s simply a fantastic whiskey, beginning with well-rounded nose and continuing with a great mouthfeel and solid warming finish. If you’re looking to spend $50 on a Rye, Pikesville makes your decision easy. Pikesville was scored consistently high by the panel, never dropping below 4th by anyone, but not garnering any first-place votes, either. 2016 Whiskey of the Year? That’s something that I contemplated when I reviewed it last summer, and it has since received this accolade from the big-time reviewers. We certainly can’t dispute those who think so, but it fell to an average of 3rd place here by the thinnest of margins, with one 1st-place vote, and one much lower ranking by a panelist who thought it smelled like “cinnamon flavored paint thinner” and was too hot and tannic. Still, there’s no denying that Booker’s Rye is a legitimate Whiskey of the Year. Comments remarked on its “dark and sultry nose,” and it absolutely bursts with layers of spice. Plus it also has outstanding balance and a fantastic finish (one panelist wrote the finish spread like “ripples on a calm lake”). The profiles of some Russell’s Reserve Bourbon private barrels have varied greatly, so I wanted to see whether the Rye would be more consistent, and I wanted to compare two of the best sources of private barrel selections. It turns out that they share some similarities, but this one was much sweeter, with butterscotch, buttered popcorn, and vanilla playing the primary role with nuttiness and spice in the backbone. The Liquor Barn barrel also has a much more prominent Big Red cinnamon flavor. While receiving rankings mostly straight down the middle, this Russell’s Reserve received one 2nd-place vote and one 10th-place vote, both probably due to the sweetness. This is a great Rye, so 5thplace surprised me more than any other result, and it’s much lower than my personal scoring. This is a classic Rye where it’s spicy without screaming heat, and sweet without sugary candy. Starting with aromas of oak and black pepper, the taste continues with oak, pepper, and baking spices balanced by cherry, crème brûlée, and crisp fruit with cocoa that hits at the tail end right before the beginning of the medium finish. Already the volume King of Bourbon, Jim Beam is making a run at Rye King with its Booker’s Rye, and a very respectable Knob Creek Rye. Leather, woody and spice balanced by nougat, with noticeably high ABV, were common comments. 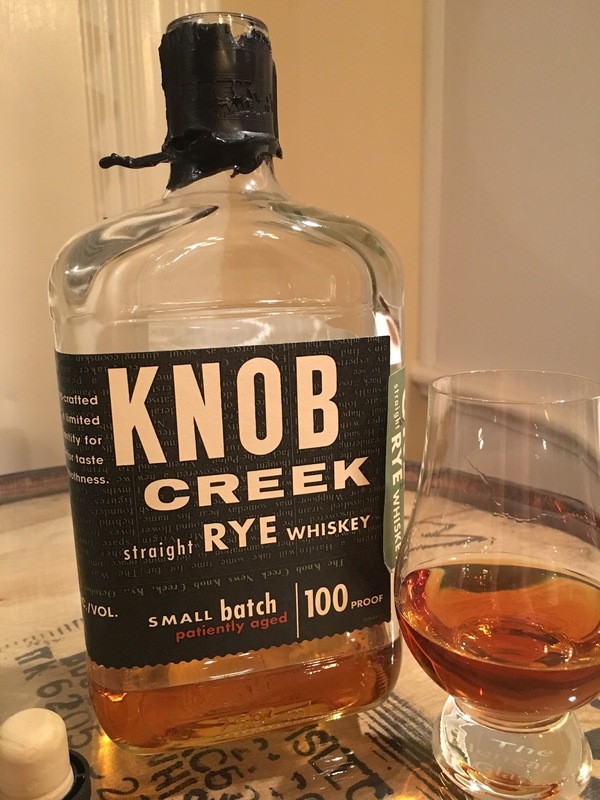 Knob Creek Rye has a medium finish that holds onto the rye spice and pepper throughout. Claiming the second-lowest price of the contestants, Knob Creek Rye certainly takes the title of price performer. Woodford Reserve’s core brands of Distiller’s Select and Double Oaked Bourbon enjoy great popularity for good reason (and I’m still keeping my fingers crossed for a barrel-strength offering from Woodford), but the Rye hasn’t caught on yet. After a nice nose, most panelists thought that the taste was thin and weak. One panelist noted an acetone finish with “cinnamon that coats your nasal passages.” One of the best comments that I’ve ever read (good or bad) about whiskey described the “funky” finish in these terms: it “tosses you about like a wagon ride over a cobblestone street, with each wheel shaped differently.” Woodford Reserve Rye was ranked 10th by a couple of panelists, but other higher rankings nudged it up to 7th place. In some respects, this was a polarizing Rye. Wild Turkey nails a sweet Rye with its six-year Small Batch. The proof seemed a little low for this Rye, and I can’t help but wonder what this would be like at the 101 that Wild Turkey has made famous. Light bananas, macadamia, and well-rounded candy notes made for a delicious – albeit sweet – Rye. A less-than-subtle nose and the lack of a rye-grain kick makes this less of what we expected in a Rye Whiskey, but it was enjoyable in its own right. Great things are happening at Willett, and I can’t wait for its earliest batches of Rye and Bourbon to mature. This one might be the best two-year Rye that I’ve had, but when compared to Rye with age, many panelists thought that it could have used more time in the barrel. A couple of panelists loved it though. The “love it” or “hate it” impression was shown by the widest spread of votes in two distinct camps (2nd and 3rd place, versus 9’s and 10’s, with nothing in between). Comments for this polarizing Rye ranged from “crisp and lively” and “lovely golden raisin,” to “fish oil pills” and “vile stuff.” Personal preference for young whiskey – or an aversion to it – probably explains these two extreme camps. It’s a shame that Rittenhouse BIB fell to 10th place because it did not receive a single 10th-place vote; consistent 8’s and 9’s spelled doom. Rittenhouse was mistaken as a young craft Rye with muddled flavors and an orange marmalade quality, and there’s some green wood, but there’s also dark fruit, cinnamon, and the expected rye spice. While by no means a show-stopper, Rittenhouse BIB hits the Rye Whiskey criteria, and as the lowest-priced Rye out of the ten, it is often considered a great value. I think this would fare well in a $30-and-under Battle Royal, but it fell flat with this group. If your favorite Rye isn’t on this list, spend some time in 2017 comparing it with Pikesville, a Russell’s Reserve Single Barrel, or Knob Creek, or any of the other readily-available Ryes, and you might be surprised. As Rye continues to expand, you’re bound to have plenty of choices. Count me in the camp biased for Willet's 2 or 3 year rye. I'm disinclined by nature to pick a favorite all-time whiskey, but on the right day and in the right mood, it might be this one. And yes, I too wonder how it will evolve as it gets older and older…. 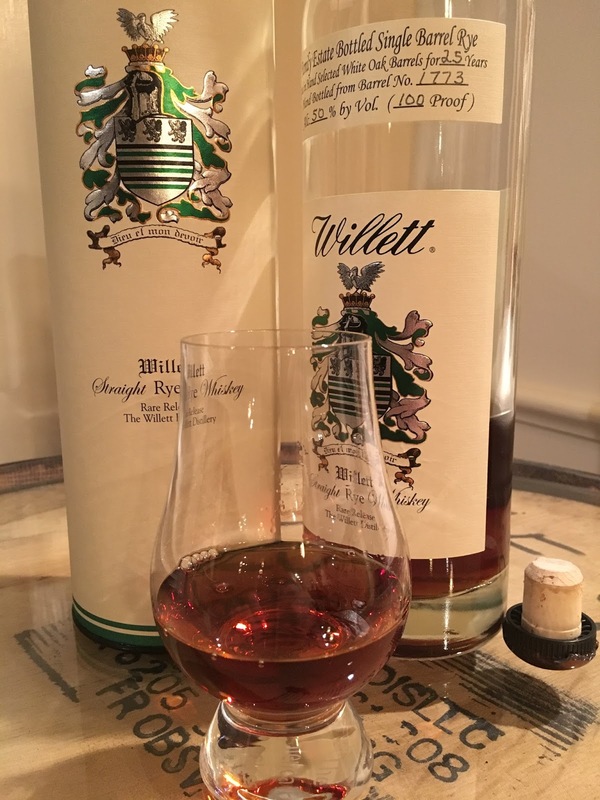 Willett-distilled Rye and Bourbon have been outstanding, and both are getting better with age. It's a remarkable story. No rye comparison can be complete without Old Overholt! Old Overholt would probably fare alright in an under-$20 blind challenge.